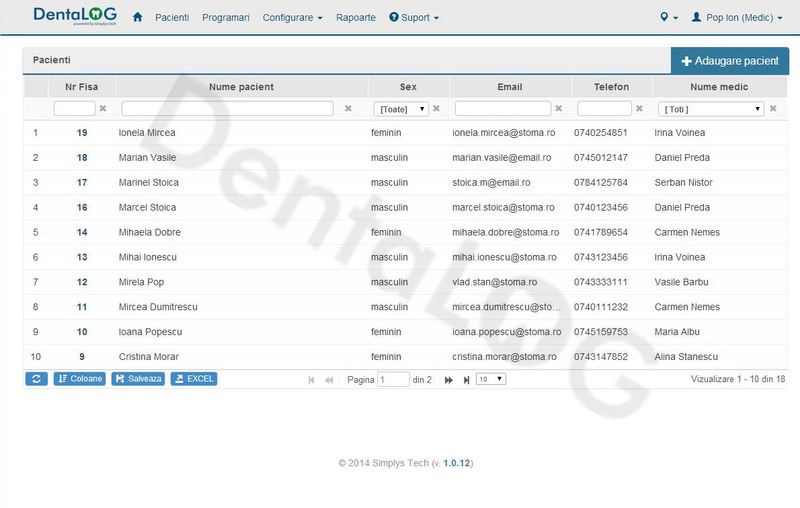 Designed as a professional solution for dental practices management, the DentaLog software was created together with dentists and for them. 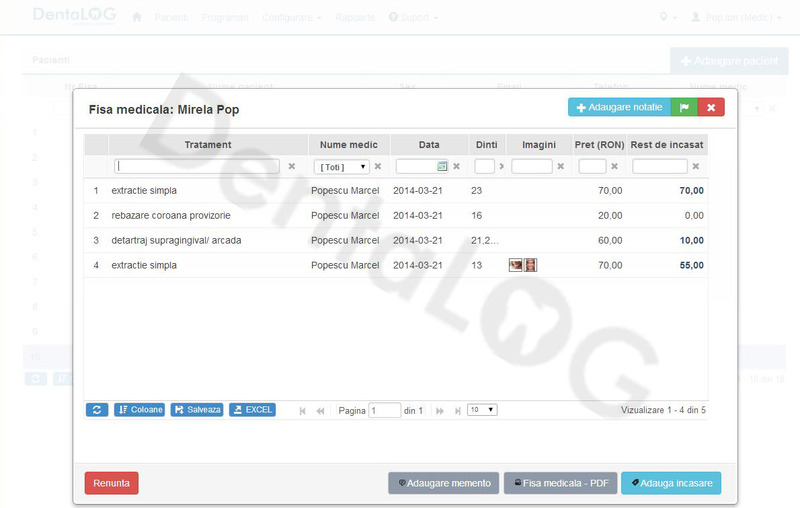 The DentaLog software addresses all types of dental practices, from small offices with one dentist to big clinics with dozens of medics and specializations. The software is focused on the main elements and their characteristics. 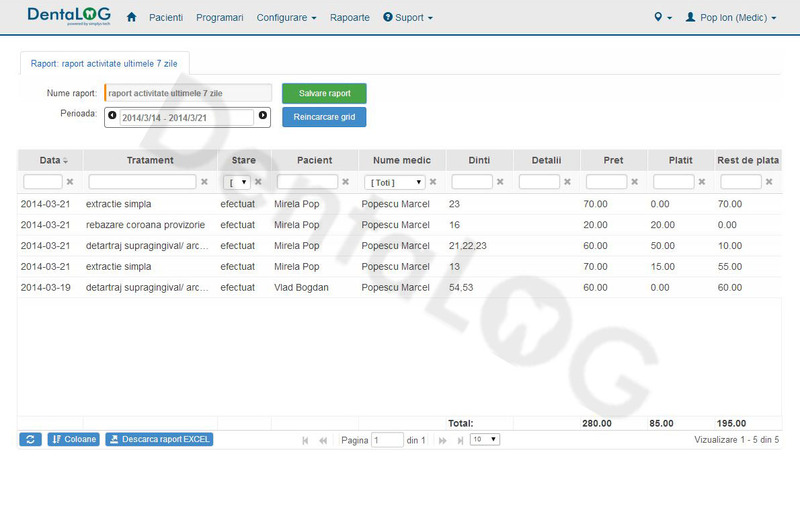 Process management through this soft offers an overview of all activities of dental clinic provides financial data through predefined report types, reduces the time spent completing some medical records, documents, etc. 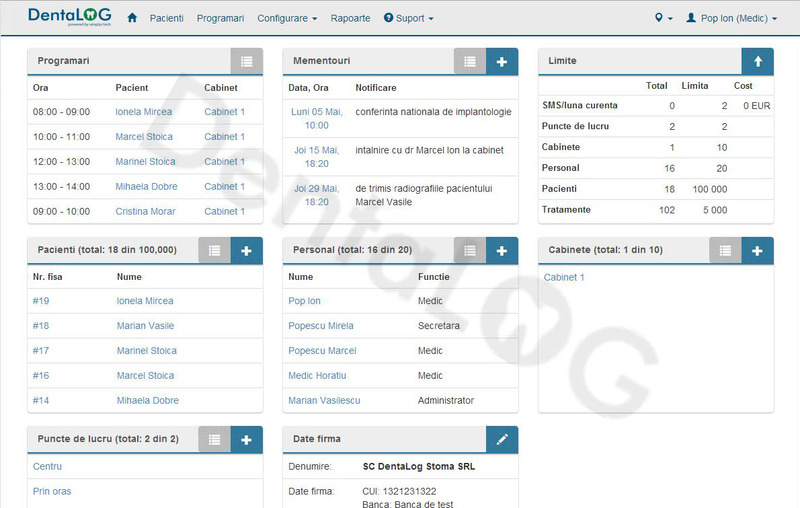 The application allows the introduction of a comprehensive set of patient information, both general (address, contact information and identification, CNP etc) and specific (medical records, receipts history, past and future appointments).The Evaluation questionnaire condition of the patient is also editable as a response to the feedback sent by colleagues doctors. 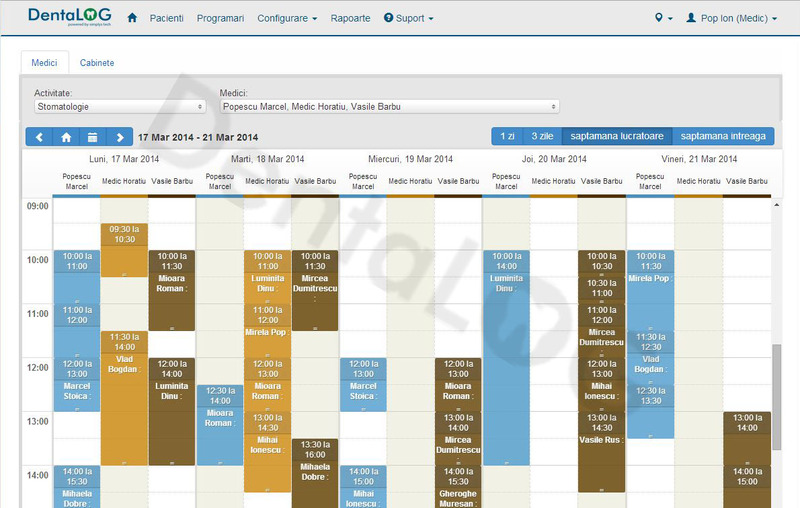 Patient appointments can be allocated through a single click on a given time interval associated with a doctor. Also viewing the activity and occupancy of cabinets is differentially for doctors and cabinets. These elements facilitate conducting activities in correlation with the usual way of organizing reality cabinets and dental clinics. A properly configured structure brings many advantages, including the avoidance of duplication (staff, patients) in work schedules and simplify the application. Users of this dental software (direct or indirect) are the most important elements in the system. Doctors and nurses/secretaries are the main beneficiaries of the system. 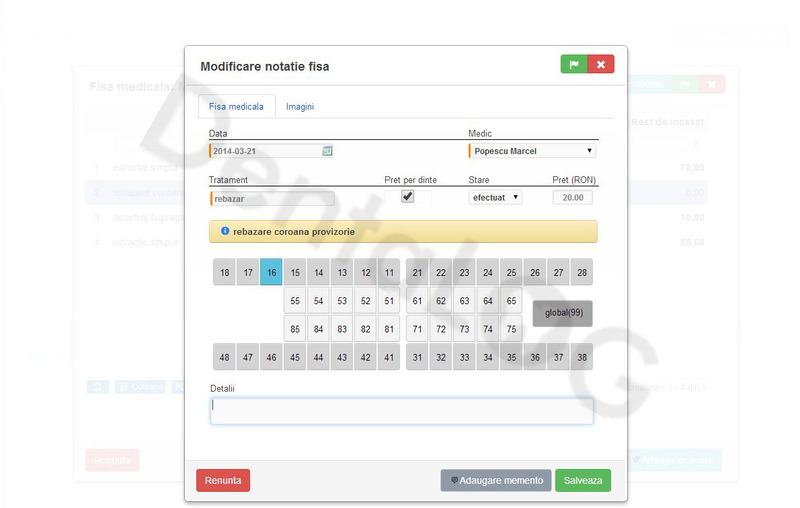 To facilitate follow-up of the relationship with the patient and ease calculations for a series of complex and lasting interventions ,the software enables a 100% customized catalog of treatments. Also, added to the data sheet for each patient treatment, the doctor is able to generate an agreement for that patient's treatment prefilled with all the data. 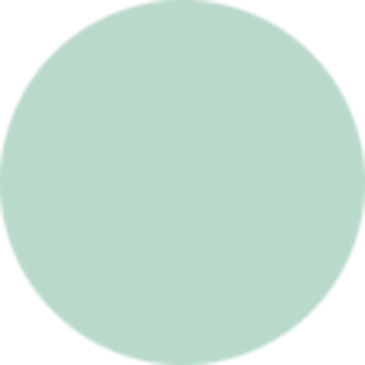 © 2014 DentaLog.ro. All rights reserved.